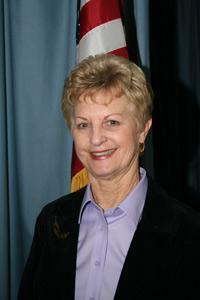 Patricia "Patty" Borelli was elected to her first four-year term on the City Council in November, 2006. In December 2007, Patty was elected by her fellow Councilmembers to serve as Vice-Mayor in 2008. Patty served as Mayor in 2009 & 2015. 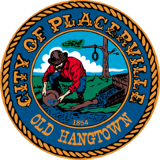 Patty's family moved here in 1949 and she has lived in Placerville almost continuously since that time. Patty graduated from El Dorado High School and attended Sacramento City College, where she attained her Associate of Arts Degree in Business. While attending college in Sacramento, Patty resided "down the hill". After graduation, she worked at Sutter Hospital and Sacramento Medical Center. Patty married the late, long-time City Councilmember, Carl Borelli and settled into activities centered on their three children and businesses. Patty helped start the Parent Clubs at Schnell and Markham schools, and spent many hours involved in 4-H, school field trips and youth sports. In her "spare" time, she helped her husband, Carl, operate their businesses - Vesuvio Pizzeria, Venture Village and the Manor Drive apartment complex. Patty and Carl were well-known for their philanthropic endeavors including sending Christmas trees and care packages to soldiers serving overseas, and other fundraising events to benefit local charities, including those events they organized with "The Three Italians". Patty serves as a member of the Shakespeare Club, Hangtown Jazz Jubilee Board, Beta Sigma Phi, the Placerville Cemetery Committee, and the People-to-People International program. Since her election to the City Council, Patty has been appointed to represent the City on the El Dorado Transit Authority Board and the El Dorado County Transportation Commission. She also serves as an alternate member to the Abandoned Vehicle Abatement Committee. Patty is the proud mother of three grown children and six grandchildren.